The Department of Trade and Industry (DTI) encouraged underground micro entrepreneurs to make formal their businesses and avail incentives readily available to them through the Barangay Micro-Business Enterprise (BMBE) Law. “We highly encourage micro enterprises to register their businesses and avail of the incentives under the BMBE Law,” DTI Regional Operations Group Undersecretary Zenaida Maglaya said. Maglaya explained that micro enterprises who have registered BMBEs can avail of government incentives that include exemption from payment of income tax for income arising from the operation of the enterprise, exemption from the coverage of the minimum wage law, special credit window from government financing institutions that will service financing needs of BMBEs, business assistance from other government institutions, as well as technology and marketing assistance. Under Republic Act No. 9178 or the BMBEs Act of 2002, a micro enterprise is referred to as any business entity or enterprise engaged in the production, processing or manufacturing of products or commodities, including agro-processing, trading, and services whose total assets, excluding land, shall not be more than P3 million. Such assets shall include those arising from loans but not the land on which the plant and equipment are located. Per statistics, 30.5% of 99.6% of total business establishments are micro enterprises (MSMEs). Micro enterprises also provide 62.8% or 2,372,678 employment to Filipinos. BMBE certificates are registered free of charge at the Department of Trade and Industry (DTI) offices or Negosyo Centers. To date, there are over 800 Negosyo Centers nationwide that assist micro enterprises to facilitate BMBE applicants. A total of 28,531 micro enterprises have registered under BMBE as of April 31, 2018 since DTI started accepting applications in January 2016. Maglaya said formalization of business will not only help the entrepreneur but will also provide benefits to business and employment to Filipinos, which, in turn, will spur economic activities in the countryside. The DTI issued Department Administrative Order (DAO) No. 16-01 last April 22, 2016 which provides guidelines on registering BMBEs at Negosyo Centers. 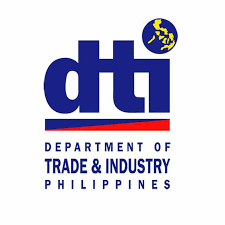 Under DAO 16-01, DTI is the sole agency which shall issue a Certificate of Authority (CA) to registered BMBEs at Negosyo Centers or at DTI offices. Prior to the issuance of the DAO, BMBEs must register at the city or municipal treasurer’s office where the business is located.